The mission of Small Paws® Rescue Inc., a charitable, Federal not-for-profit organization, is to rescue and supply non-aggressive Bichons, nationwide, with love, shelter, food, human companionship, and medical care, until permanent placement is secured into a pre-screened loving home, as our resources allow. 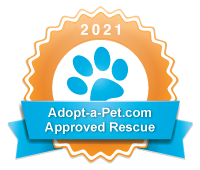 We take responsibility for each Bichon rescued and placed through Small Paws® Rescue Inc. should they ever need to return to Small Paws during their lifetime. Educating and informing the public about the commercial dog industry in America and about responsible pet ownership is also very important to us, as well as reviving the spirit of volunteerism across our country. Small Paws® Rescue Inc. is composed of approximately 6000 people in 26 countries, and over eight hundred volunteers across America. Our volunteers are willing to foster, transport, or otherwise assist in this massive rescue effort. We are supported entirely by donations and fund raisers. Our vision: We hope to see a day when there is no longer a market for puppies sold in the pet shops of America. Then and only then, will the suffering endured by thousands of companion animals in the puppy mills of America, cease. Our Future Goal: Our goal is to rescue as many Bichons in emergency situations as our organization is safely able to manage. Our Accomplishments: Small Paws® Rescue has rescued, vetted and re-homed over 14,000 Bichons since it’s inception in September of 1998. Small Paws® Rescue is the largest organized Bichon Frise rescue organization in the country today. Small Paws® Rescue has been featured on the cable network Animal Planet, twice in the past 16 years. Both episodes told stories of previous medical services provided for even the most critically ill Bichons. Small Paws® Rescue has saved the lives of 77 Bichons, with heart murmurs. They each had life saving surgery to correct their heart murmurs and today are living normal happy lives! We are also invited to speak at national functions, to further educate the public about the need for breed rescue organizations to exist, the importance of spaying and neutering your pet, and about the suffering that continues daily in the puppy mills of America.